As the popularity of internet is growing easy and accessible internet is quickly becoming a necessity in our everyday life. An internet café allows you to enjoy a cup of coffee and share internet experience in a comfortable environment. People of all ages seem to enjoy this café. People does not like the hassle of carrying a laptop with them, so opening up an internet café business turns out to be very beneficial. You are going to need a big enough capital to cover both your startup and operating expenses. 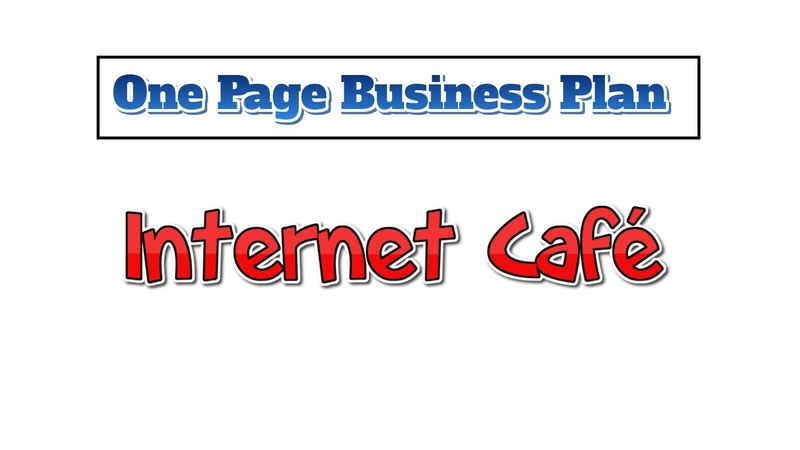 A large initial capital will provide your customers with a full-featured internet café. If you do not have a good amount of capital you may take a loan. Your other expenses include licenses, permits, insurance, rent or mortgage, a security system, employees’ salaries, computer equipment and software, and professional services such as an accountant or bookkeeper. These together might cost you $180,000- $200,00. 2. Equipment like computers, laptops, music systems. 7. A calm, decent ambiance. Find public records of how the location was used previously and statistical data such as the average income in the area. Find out if there are competitors and similar activity nearby. Locating near a school or college may tempt younger customers, or if you locate near other food cafés or small shops you might be able to catch walkers in the area. It could also be beneficial to locate near large hotels where many business travelers stay. Note down the different facilities and services you want to offer and the audience you wish to cater to. Look at the other Internet cafés in your area and in other cities to help form your ideas. Before you start, you must know all the important things include the results of your previous market research and explain how your café will stay profitable over time. Marketing will also a play vital role in your business. You can give away pamphlets and brochures to the passers-by before to invite them to your grand opening. A grand opening will get you more customers. You must have high-speed computers to provide your customers with a fast and efficient connection to the Internet. Your computers have to be up to date and smooth and fun to work with. Arrange a sophisticated menu for your customers to enjoy while browsing the internet. From senior to junior, students to businessman all class people are your targeted customer. A degree is not required for you to start an internet café, but having a bachelor’s degree hotel management is going to make your business easier for you. Educate yourself by reading books, articles, and blogs about how to open and manage an internet café business. This business allows you make more money than any other restaurant business because you are able to sell coffee and bakery items and you can also charge your customers hourly for the usage of internet. Your key to success is creating an innovative, unique and upscale atmosphere that is going to differentiate you from local coffee and bakery shops. The establishment of internet café creates a community hub for socializing and entertainment. Provide your customers with great coffee and bakery items. Our studies suggest your income should be around $180,000-$200,000 per year.